Thanksgiving ushers in the holiday season, and finding fun Thanksgiving ideas for kids to help out gives them a sense of belonging and responsibility. So use this time of year to your advantage, and get quality family time and a little extra help with your Thanksgiving planning and preparations! Here are four fun Thanksgiving ideas for kids who want to get in on the action. Ask the kids what they prefer to eat for the holiday. Most children have a favorite food, and even if it’s not a traditional Thanksgiving dish — making it will help to ensure that they eat, and put that picky eater to rest during the meal. If your kids write, let them make the menu. If they’re not yet writing, have them draw pictures of the items you’ll prepare. Kids can chop vegetables, fill pie crusts, measure and mix ingredients for you — all using their math skills. This hands-on experience is proof of how much work goes into preparing this special dinner, and will help them appreciate how family comes together to create the meal. These Thanksgiving ideas for kids are also a great way to encourage them to pitch in at other mealtimes, not just at once a year. Plan the place settings and let the kids set up the place settings and decorations for the table. A few days ahead of time, supply them with construction paper, safety scissors, glue and washable markers, and let them make a custom place card for every guest, as well as fun place mats or centerpieces. It happens every year: your Thanksgiving table full of dirty plates and silverware. 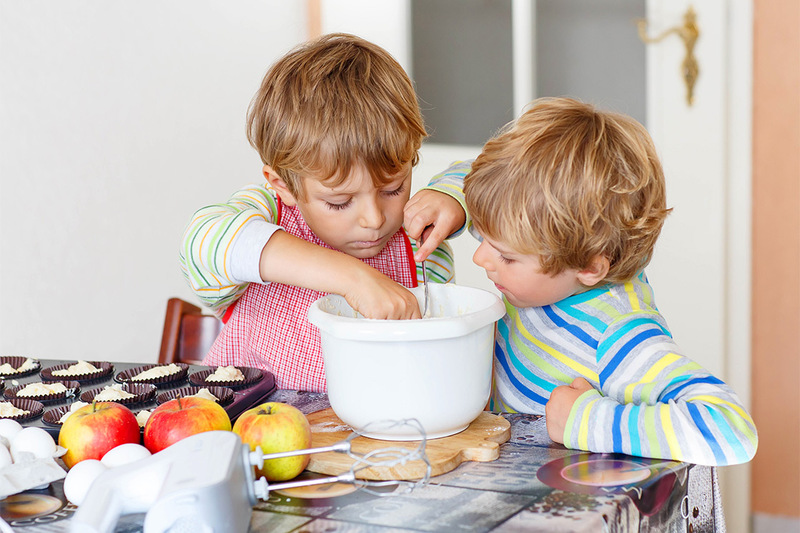 But you can encourage your children to help picking up the mess by incorporating a discussion of who will do what when you’re brainstorming Thanksgiving ideas for kids. While cleaning up, you can use the time to have a nice conversation on which dish was their favorite, on funny moments that occurred during dinner, etc. You will be done in no time!